Born in Moscow, raised in Tel Aviv and currently based in Berlin, Mary Ocher has become over the last five years a rather prominent character in the European queer music world thanks to her quirky voice, unsettling lyrics and slightly out-of-this-world live performances. After the release of her war-themed concept album and a 7″ on Haute Areal in 2011, Ocher started work on Eden, produced by Canadian rock & roll guru, King Khan (producer of the Black Lips, among other acts). The album was released mid-June 2013 on Buback and Haute Areal, parallel to her work with her new-tribalism band Your Government. From folkie siren rebel to futuristic torch diva, Mary Ocher recently played a series of sold-out national theatre shows with best-selling German author Sibylle Berg for her novel Vielen Dank für das Leben. 2014 saw Mary go on a 50 date tour of the US and Canada. She was then invited back to LA by Yeah Yeah Yeah’s Karen O to perform for the Genesis charity event at the Ace Hotel alongside Ariel Pink, Soko and rising stars of the Californian underground. During the summer of 2014, Mary also crowd-funded and finished the recording of the debut album of her double drummer Your Government project which was released the following autumn. In winter 2017, The Endlessness (Song for Young Xenophobes)‘s video was released as the first album ambassador, an EP of remixes, including one by Peter Kirn, was released on Bandcamp, and the video for Arms premiered on Thump/Vice. The album release and premiere show followed in spring 2017 at SO36 in collaboration with Ich Bin Ein Berliner. 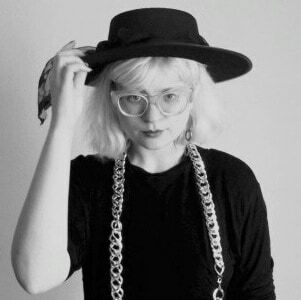 Mary Ocher then toured over 20 countries with the much celebrated The West Against The People, and its companion release Faust Studio Sessions and Other Recordings, The West Against The People was released on Hans Joachim Irmler’s label Klangbad (of Krautrock pioneers Faust). It features collaborations with elusive legends Die Tödliche Doris and Felix Kubin and an essay elaborating on the themes of the album and analyzing the current sociopolitical climate. The additional 10″ vinyl Faust Studio Sessions and Other Recordings is a co-release of Klangbad with Swedish label Sing A Song Fighter. A special tape edition was released on the US label Related Records. Her previous solo release was produced by Canadian psychedelic rock’n’roll guru King Khan. Mary has also collaborated with members of Chicks on Speed, Mogwai, Antony and The Johnsons and others. Mary has directed music and art videos, short movies, and documentaries, she has also published photography, poetry and social criticism texts. She has performed at high-profile festivals like SXSW, Steirischer Herbst, Northern Winter Beat or Fusion, and has traveled the globe, playing countless shows over three continents. Her work is as enchanting as it is polarizing, ranging from traditional folk to raw 60s garage, ambient with ethereal vocals and abstract synths, to experimental pop with African and South American rhythms when accompanied by her drummers Your Government with whom she will be touring in US and Canada during spring 2019.